Keeping budgets low, timelines short, “daring to fail” and aiming to learn are just some of the key tactics of Lego Future Lab, the “rebels of the company” who aim to disrupt the brand before any competitor does. 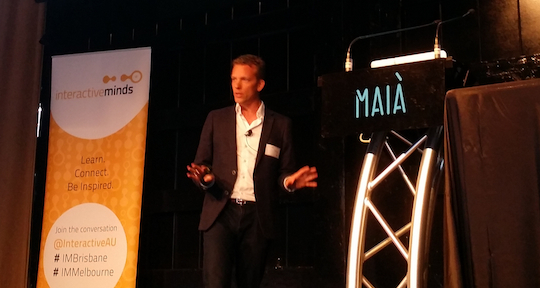 “The key here is to keep the projects so small that nobody will really react if they fail,” explained David Gram, marketing director at Lego Future Lab, who visited Interactive Minds’ Brisbane and Melbourne breakfast events last week. Gram shared insights from the innovation team that is taking risks the world’s leading toy brand could never dare on a large scale. Early last year following the success of The Lego Movie, Lego’s sales numbers surpassed those of competitor Mattel, making it the largest toy company in the world. Despite its rise to the top, Lego realises the threat of disruption is ever-present. As Gram explained, the company wants to avoid a situation anything like the 2003 crisis that nearly destroyed it; the culmination of a series of diversifications that took away from the core product component, the brick. Lego has managed to isolate innovation into the small Future Lab incubator and now aims to “innovate as little as possible” in its core business. Previously, when innovation was part of the main company, the team was “filtering out” ideas perceived as “too risky”, Gram said. About 30 people from 10 different nationalities work to “reinvent the future of play” at Lego Future Lab, in a separate building from the main company headquarters in Billund, Denmark (so as to avoid short-sighted day-to-day issues). The team believes pilot launches are much more valuable than simply experimenting with new products inside the lab. But in the interest of “daring to fail”, these pilot launches are often contained to very small, remote markets. “We really try to keep it under the radar as much as we can but do have live feedback from consumers that experience new products,” Gram explains. For example, one new product idea that combined Lego and paper was launched only in Japan, so when it was pulled from shelves the rest of the world remained unaware. Biweekly, children are invited into the Future Lab to test new product ideas. The team also conduct ethnographic in-home studies to understand how families operate. They document insights and identify patterns to inform future designs. “Everything we do is based on key insights, facts, data, that we have that then help the designers and creatives move forward with firm directions on this is the road to go forward,” Gram explained. The team use a ‘direction wall’ to sort insights from the in-home studies, “which is basically putting all of these insights up on a big wall, divided into different sections”, such as ‘new consumer behaviour’ or ‘new technology’. They then do a ‘pattern recognition workshop’, starting with filtering out anything irrelevant to the project objectives, then trying to find combinations of insights that could become the ground for new concept development. The Future Lab team keeps close contact with large and small technology companies around the world. The team meets with up to 30 startups every quarter, and collaborates with all major tech companies to constantly remain aware of how they see trends evolving. One example of a successful new product development that takes advantage of new technology is the popular Lego Fusion, which combines traditional blocks with tablet technology. 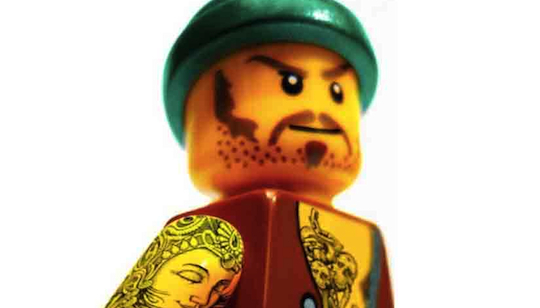 When collaborating, Lego tries to look for win-win situations rather than always relying on financial exchanges. “Maybe a technology company has a new technology where they need a great use case or a brand to show how this works, and we need a new technology to come up with new ways of how to create a good play experience,” Gram said. The key to quick product development is to take just one to three key features of a new product idea and develop that to a high quality. Then “throw it to the market, get live feedback from consumers, then build the rest of the features based on direct requests and needs from consumers”, Gram explained. Future Lab has its own mini factory that is able to achieve product and packaging development with four-month turnarounds, far shorter than the average 18-month turnaround in the main Lego factories. Despite the fact that a kind of taboo exists within most big corporations around failing, Gram stressed that “daring to fail” is probably the most important part of innovation. One particular way that the Lego Future Lab team is able to achieve this daring approach is to avoid allowing large amounts of cash into their small test projects (and it’s not as if Lego doesn’t have the cash). scaling it: include the core business as part of the development phase so you have advocates to help you scale. He summed up his advice on self-disruption by advising that innovators become “diplomatic rebels”. make people shine (avoid taking all of the credit or being arrogant).